Based in the greater Minneapolis/St. Paul area, the business operates in a 6,100 warehouse with 3 bays and plenty of nice office space and a reception area. The lease expires in September of 2015 and the owner has an option to extend. Monthly rent averages $3,100. 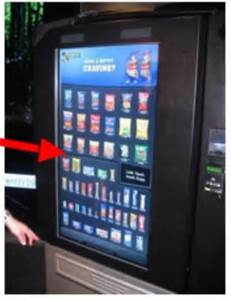 This listing is an established, impressive vending company serving the greater Twin Cities area. The company has had a vending presence for over 50 years and the current owners have been running the business for nearly 20 years. The machines are impeccably kept, and the majority has been purchased recently. Over 600 machines are in location and over 100 are ready to be placed. This is a rare opportunity to acquire a healthy, growing business with fantastic residual income. The company has steadily grown through acquisition, internal sales, and reputation. Established Liquor Store – Washington County- SOLD Niche aftermarket Truck and Trailer part sales, service and installation Business established for over 30 years NE Metro Dry Cleaner and Laundromat for Sale Off Sale Liquor Store, established in 2004. This entry was posted on August 19, 2015 by Mac Thelen.